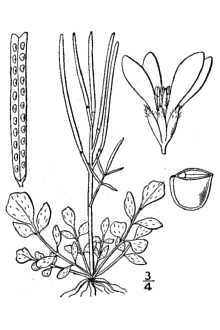 Botanical name: Cardamine hirsuta L.
Plant height: 2 - 16"
Misc. 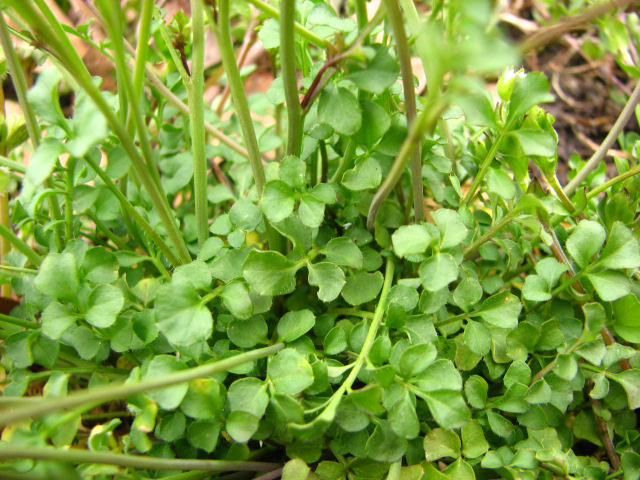 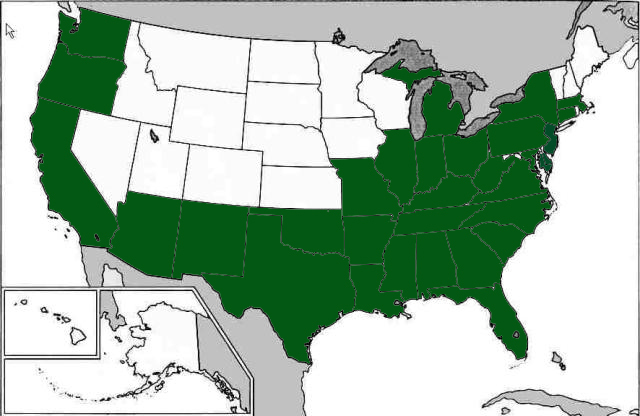 Invasive weed; a member of the mustard family and edible as a bitter herb. 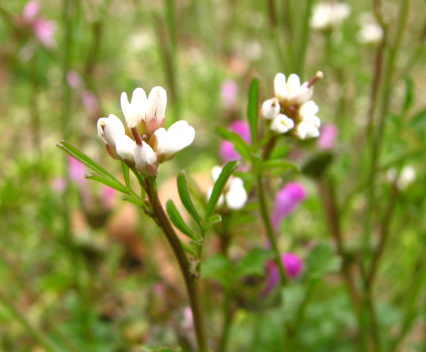 Several US butterflies such as spring azure and falcate orange-tip are attracted to its flowers.